This July I’m heading overseas for a European vacation. It’ll be the first time in a long time that I’m traveling internationally for an extended period of time. I’ll be hanging out in Scandinavia and England for several weeks. As excited as I am for the trip, I think I’m more excited about the opportunity to pack my luggage. Hear me out. For me, packing luggage represents the opportunity to appease all of the angry, neurotic, neat-freak, minimalist voices in my head. There is almost nothing quite as satisfying as packing everything you could possibly need into a nifty carry on. Recently, I came across Eagle Creek luggage, and I’ve been swooning ever since. This luggage is the truth, y’all. I mean, every square inch of these bags are made to maximize function and keep you organized. I’m in no way affiliated with this company, I’m just kind of a nerd when it comes to travel. I write lists. I double check those lists. I even do ‘dry runs’ to make sure my list is top notch by packing and unpacking while I’m still at home. 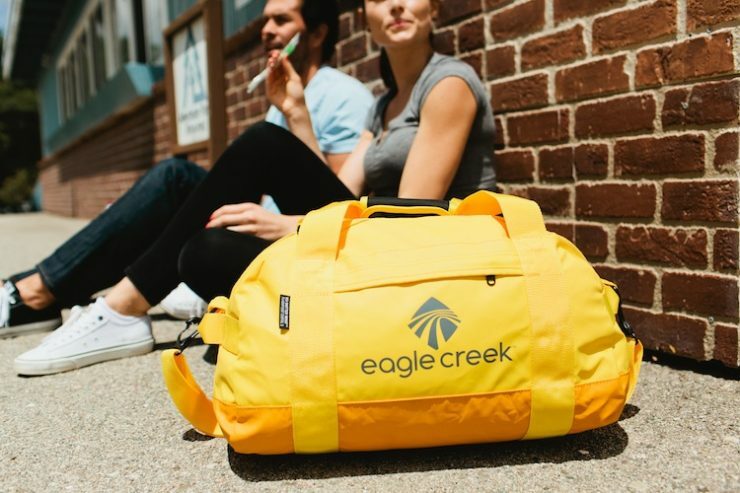 I’m super stoked I found Eagle Creek bags ahead of this summer trip I’m taking. They have different collections to choose from, so there’s something for everybody. From the international traveler like me, to the mom that has to pack for all the kids, to the business traveler, even to the outdoor enthusiast, these bags are everything. Dude, I’m really geeking out over this luggage. I think you will too, just check out this video! Of course! These bags are pretty cool!